Fort Brown, in present-day Brownsville, Texas was established in 1846 as the first U.S. military post in Texas. Brigadier General Zachary Taylor arrived at the site in March 1846 to occupy the territory that was claimed by both the United States and Mexico. The initial fort was an earthen fortification constructed by Taylor’s troops and called “Fort Texas.” When Taylor marched a large portion of his troops to Point Isabel (now Port Isabel), he left a garrison, under the command of Major Jacob Brown, to guard the fort. Taking advantage of the situation, the Mexican Army attacked the fort, sending part of their force to engage the main portion of Taylor’s force as it returned from Point Isabel. 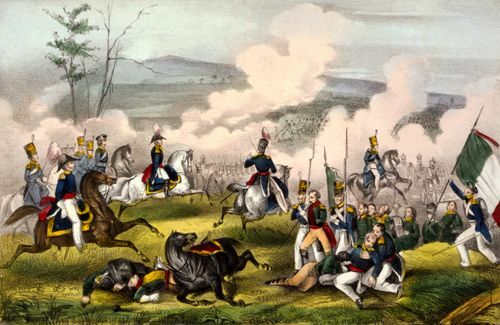 Taylor defeated the Mexicans at the Battle of Palo Alto on May 8, 1856, and at Resaca de la Palma the next day. These engagements were the first battles of the Mexican-American War, and the most important battles of the war fought on U.S. soil. Following these defeats, the Mexican Army fled back across the Rio Grande River. The fort was renamed Fort Brown in honor of Major Brown, who was killed in its defense. 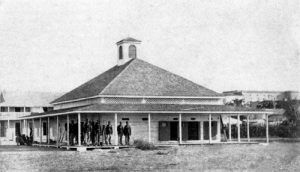 Federal troops left the fort with Texas’ secession from the Union during the Civil War. It was then occupied by Confederate Colonel John “Rip” Ford and his troops until 1863 when they were finally driven out by Union forces under General Nathaniel P. Banks, who then camped in tents erected at the fort site. However, in 1864, Confederate forces under General J. S. Slaughter and Colonel Ford reoccupied the area and held the post until the end of the war. In 1867, a permanent fort was constructed under the supervision of Captain William A. Wainwright. 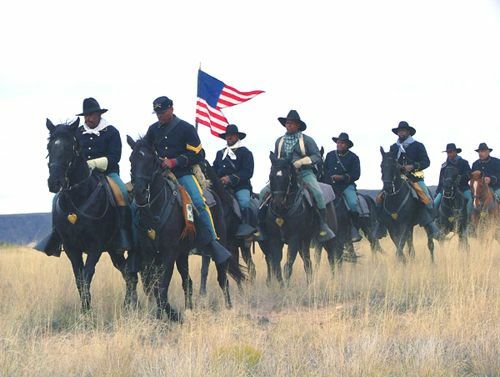 The post remained active into the 21st century, often manned by regiments of Buffalo Soldiers. On August 13 and 14, 1906 the Brownsville Raid occurred, in which several unknown individuals raided the city, indiscriminately shooting up the town, killing one man and wounding another. The townspeople quickly blamed the black soldiers stationed at nearby Fort Brown and, when the Army investigated the matter, they came to the same conclusion. The Secretary of War, William H. Taft, then discharged all 168 black soldiers “without honor.” It would be another sixty years before a second investigation was held and the black soldiers had their honor restored. However, by then, only two of the original 168 men were still alive. Historians today believe that the real culprits who shot up the town, used the same caliber ammunition as the soldiers, in order to frame them. On April 20, 1915, the first U.S. military airplane to be attacked by hostile fire came from Fort Brown. The plane, manned by Officers Byron Q. Jones and Thomas Millings, were looking to spot movements of Mexican Revolutionary leader Francisco “Pancho” Villa. Though it did not cross the border into Mexico, it was fired upon by machine guns and small arms. The post remained active through World War II, but decommissioned in 1944. In 1948, the land was acquired by the City of Brownsville and Texas Southmost College. The fort buildings were sold or donated to various organizations and schools in the Brownsville area. There are several buildings that remain dating from the post-Civil War era, many of which are located on the University of Texas at Brownsville and Texas Southmost Jr. College campuses. A small portion of the earthwork fort remains as well. Fort Brown, Texas in Brownsville today by Carol Highsmith. In the “village,” numerous residents have reported strange occurrences including lights, televisions and water faucets seemingly turning on of their own accord. They have also reported seeing a number of apparitions including a small gnome-like black figure that leaves behind a sulfur-like smell, a small boy and girl who have been seen playing, and another young boy who has been seen in the Resaca area wearing 19th Century clothing. 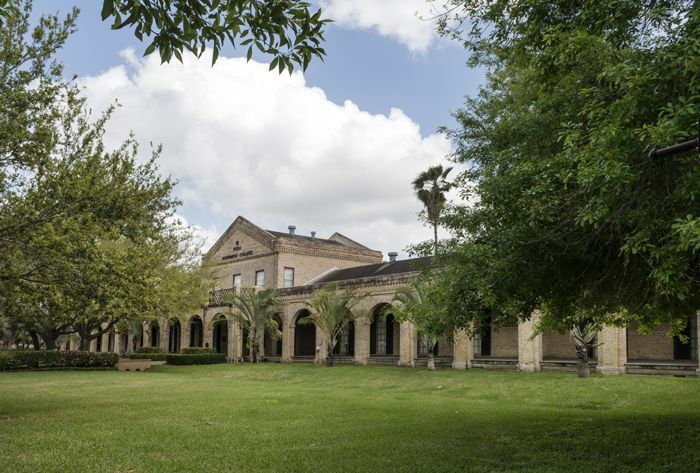 The old fort morgue was joined with a storage building in 1940 and now serves as Texas Southmost College office space. Though no one seems to know by whom it’s haunted, it comes as no surprise. During the fort’s heydays, the morgue was used extensively by Dr. William Gorgas, who dissected bodies in order to study the Yellow Fever disease in a futile attempt to find a cure. In any event, odd things are said to happen here, such as electrical appliances turning on by themselves, small objects leaping into the air, staff who have regularly felt a presence within their midst, and one who even had her hair pulled by an unseen entity. Others report anomalies in their photographs including a solid dark image. 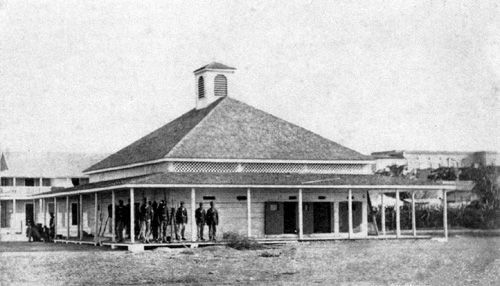 The Cavalry Building served as barracks at Fort Brown, Texas. Photo by Carol Highsmith. At the former Post Hospital, now called Gorgas Hall, and serving as the Administration Building for the campus, more strange events occur regularly. Here, numerous patients with Yellow Fever were treated in the 1880s, many of whom, unfortunately, died. A ward on the second floor of the building was used for violent patients. The most often anomalies are the faces of former patients peering from the windows and captured on film, though that are apparently not seen with the human eye. Witnesses have also claimed to see a “face” appear on the surface of the brick wall. Others have reported seeing spirits roaming throughout the building including a doctor, a couple of nurses, and mourning woman dressed all in black. The sounds of faint voices, footsteps, and other unexplainable noises are consistently heard in the building. Other unearthly happenings include doorknobs that seemingly move of their own accord, as well as objects transporting themselves. 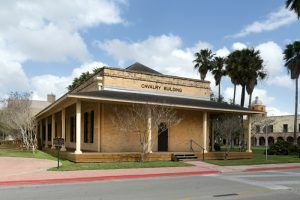 The 1904 Commissary/Guardhouse building, now used as an art building, also has a record of hauntings. Its basement continues to display the metal grated cell gates where prisoners were once held. Unfortunately, for the art students, their projects are often found to be missing or damaged. Others report feeling cold drafts, hearing distant voices, having been touched by unseen entities, and the sounds of scraping metal on the outside of the building. The Little Chapel, which dates to 1868, also has its share of tales. Though it was moved from its original location, the “move” evidently brought its spectral phenomena with it. Here have been heard unearthly footsteps and inexplicable shadows and movements have been reported. Tales of the Arnulfo L. Oliveira Memorial Library date back for decades. One of the oldest stories is of a night janitor who was startled when he stepped outside of the library to witness what appeared to be the full fort still in action — cavalry soldiers on horseback and infantry soldiers marching on the former parade grounds. Other claims include the spirit of a young girl, appearing in 19th-century attire, who appears on the second floor. More reports tell of a malevolent phantom of an adult male who also appears on the second floor, as well as a dark shadowy figure. Staff also report items being mysteriously rearranged, mysterious chills, fans that turn on and off of their own accord, the sounds of creaks and rattling on the second floor, and more. Ghost Hunters, who have investigated these buildings, support many of these tales, having recording strange anomalies on film and voices on recordings.